At Apex, our pride is in being the very best auto glass chip repair service in Nipomo. What makes us the very best? At Apex we are completely dedicated to making our customers 100% satisfied! 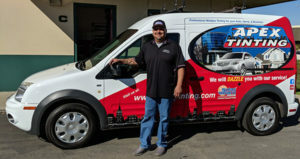 Our goal is knowing we have satisfied our customers, on every job we do! We have low rates and friendly, professional technicians who will get to you on time, and complete your service quickly. We will also go onsite in Nipomo! 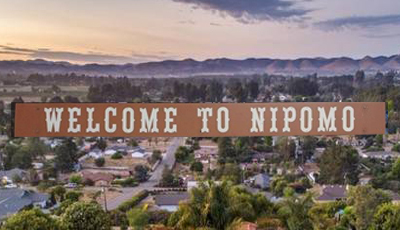 That’s right, Nipomo! Apex will go onsite to either your home or your place of business! We have found that almost all auto glass chips and small cracks can be repaired on the spot, without you needing to miss out on work time or to be inconvenienced by setting appointments to come to us. We have also found that small auto glass chips can become larger, and therefore more costly, and even dangerous, if not taken care of promptly, so we want to make it as easy as possible for you to take care of your auto glass chip now! Car glass chips repaired in 15 minutes in Nipomo! Time is always of the essence these days! Who has time to wait around? Apex will repair most auto glass chips in under 15 minutes! So time cannot be what keeps you from your responsibility to get that chip fixed! And even larger cracks and multiple chips won’t take as much time as you may think! Apex are the professionals and will do the job right, in a timely manner! How do I know if my car glass chip is repairable? We generally can repair most car glass chips with ease! Here’s a way to get an idea if yours can be repaired… the chip is the size of a quarter or smaller, and it’s not right in the the driver’s line of vision. If that is the case it most likely can be repaired, but if it is larger, or is in the driver’s vision area, it might need to be replaced instead. But have no fear, we are happy to give you a free assessment and discuss your options! Or maybe you need your windshield replaced? Call us for a free windshield assessment appointment today!